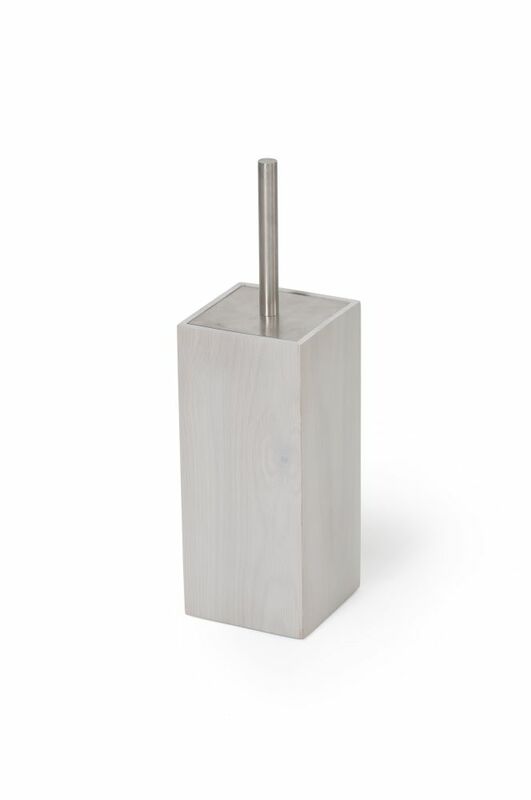 Toilet brush Mezza comes complete with a removable plastic hygienic liner, fully encased in a solid oak box. The brush handle and top plate are stainless steel with a matt brush finish. A replacement spare brush head is included for future use.